using NES emulators for Android. 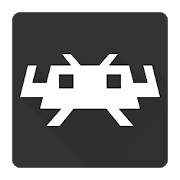 NES emulator on Android would be a good addition to your everyday digital entertainment. Mobile retro gaming is becoming more and more popular not only due to nostalgic feelings of the elderly generation but also because of great favor and respect being expressed by young people. Such a retro experience for them is something like an exotic adventure. Whatever your reason for searching NES emulators on Android is, here you’ll find the list of the best applications to make it happen. (*editors’ personal opinion). 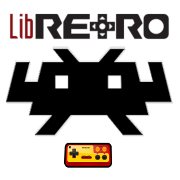 RetroArch is an open-source emulator which were built on the famous Libretro interface. It includes quite a big set of emulators, so users can enjoy almost all popular type of consoles, such as Nintendo, Sega, Sony PlayStation, Atari, NEC and MAME Arcade. The list includes NES and the features quite a good quality of the emulators, that’s why it is on top of our list. 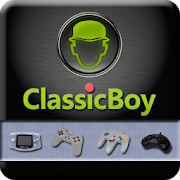 ClassicBoy by Godwin is a frontend which includes GLES/SLES 3D media engine and advanced controllers interface. 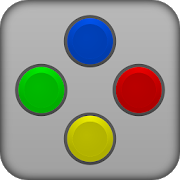 One of the most interesting features of ClassicBoy is its gesture mapping for controllers. This is going to be liked by fighting games players. This mode provides 8 swipe directions on each side of the screen and each one can be mapped with its own key. Besides controllers gesturing, there’s also an accelerometer sensor for a better character performance and calibration for adjustment of tilt parameters. All these create a unique gaming experience when a user can play on a screen with no controller elements displayed and act with their single hand only. 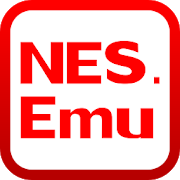 This app is an advanced open-source NES emulator based on FCEUX 2.2.3-svn. The app works absolutely on any device with similar or better specs. 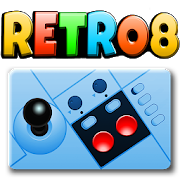 This application was abandoned by Libretro in favor of their new project RetroArch (see above). 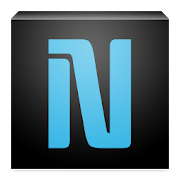 Still, the APK files of Nesoid emulator are available on the Internet on such websites as Sourceforge, Uptodown, Emuparadise etc. So if you really want to play with this earlier product of Libretro, you’ll find the app files there. 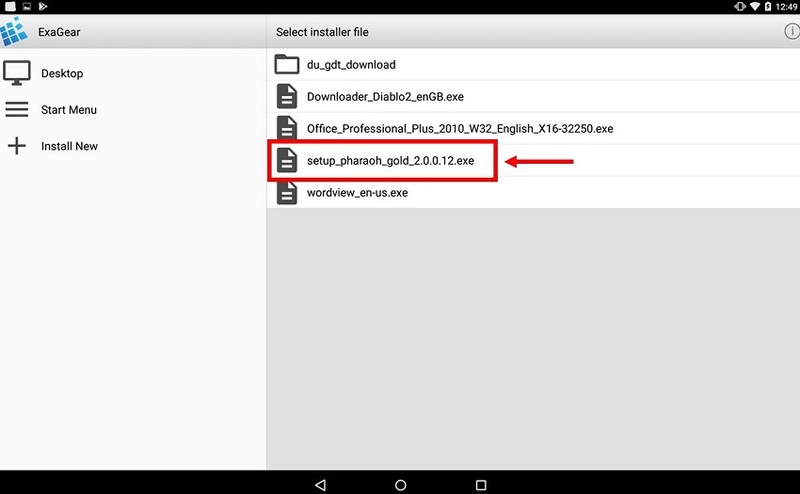 The main peculiarity of the emulator was that it used the code of GPFCE, forked from FCEUltra, which is currently known as FCEUX. There are actually two apps of that kind – Nostalgia.NES Lite (free) and Nostalgia.NES Pro (paid). The main differences between the two are that the Lite version has got advertising ads and users can save or upload their game progress only after watching ads (if the device is offline – these features are disabled). As well as the game rewinding is disabled in Lite. 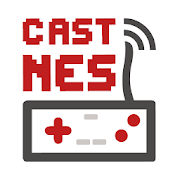 This application allows playing NES games on your Google Cast device. The app runs well on any smartphone or tablet model and is compatible with almost all NES roms formats. The main peculiarity of the app is that it broadcasts a game to your Google Chromecast device. In this case and your smartphone or tablet are utilized as a full-sized controller. 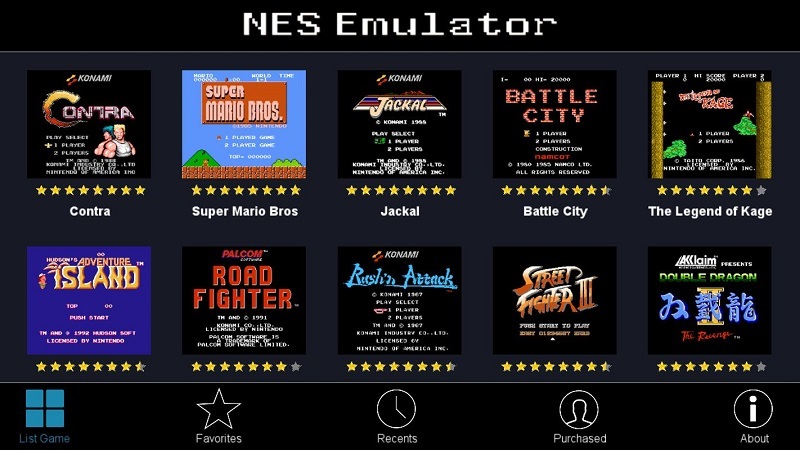 Retro8 NES Emulator is a paid Android app, which is considered one of the most easy-to-use NES emulators for Android. The community liked the app due to its advanced search system, which allows quick searching and navigating among all the NES games installed on Android device. This is a really convenient thing for those who’s got a bunch of roms on their device. 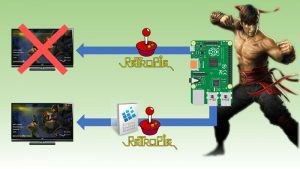 Retro Game Center Android NES emulator helps you discover and play over 15k+ classic retro console games on 15+ most popular game systems of the past. It supports the search for games and roms, screenshots. 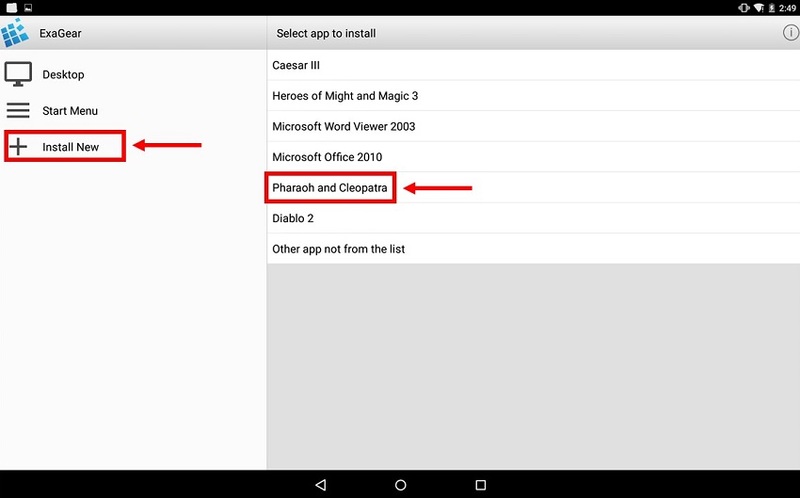 You can link local roms to a game and play right inside the app. There’s also a bookmark option available to keep a real-time track of what you are playing. 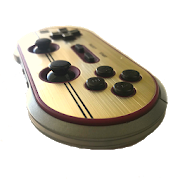 Actually, this is a SNES emualtor, but it includes NES emulator as well and so the NES roms and games are also supported. 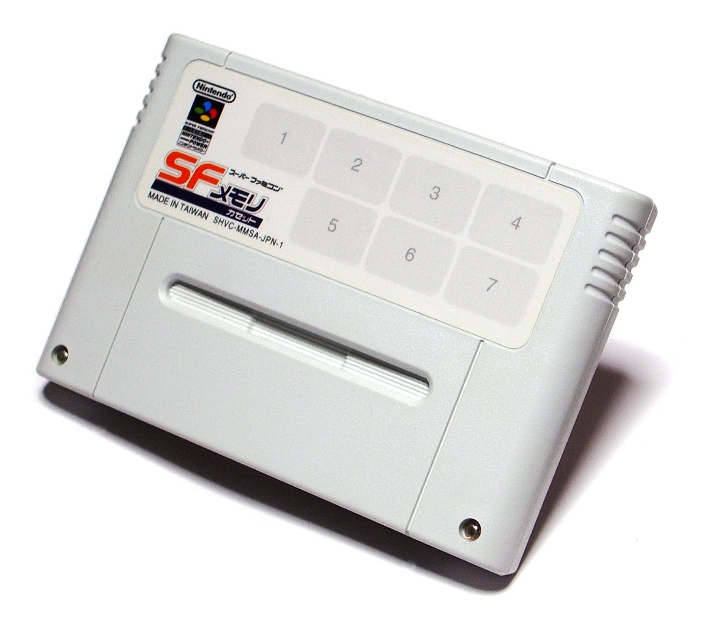 SNES9X is an open-source SNES emulator based on Snes9x 1.55 (for slower and older devices a special 1.43 version is available for downloading on the developer’s website). The other games should be supplied by the user. A number of public domain games or/and demos are available at www.pdroms.de. The users may transfer games to their SD cards or other internal storage space and browse them within the app. The supported ROMs formats include .smc and .sfc formats, optionally ZIP, RAR, or 7Z files. First of all, let’s clarify what the roms are. Roms are called the console games or their files (or images) made up in a special format, which allows launching those games on some non-console devices. Basically, there aren’t any specific NES roms for Android or NES games for Android – just simple NES games downloadable form some internet websites. So, how can we get all those NES games on our Android devices? Well, it depends. Also, beware that if you’d like to get NES games for free from unofficial websites, you’ll break the copyright law. Though, unfortunately, a brief googling is enough to get a bunch of such websites displayed in front of you. We can only ask you to stay within a legal framework and use only the licensed NES games or roms. As an additional idea, you can search for the ways of getting roms from the old cartridges, I bet you’ve got some left and forgotten somewhere around your house =). 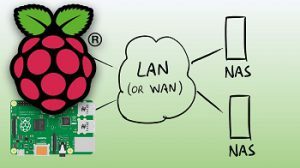 The hardware, you can use for that is called Retrode (read about it here). 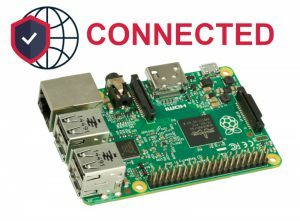 The only thing is that we are not sure if this device is still being produced and distributed as all the information about it dates back to 2013 and earlier. If you like playing old console NES games on Android, you’ll definitely like playing retro PC games on your Android as well! Why not? And the most up-to-date and advanced technlogies are here to help you with that. Stay in touch and get notified about the next freshly tested and approved games (within both official and unofficial lists)! Be sure, a lot of cool games are coming soon! The installation process is really straightforward. 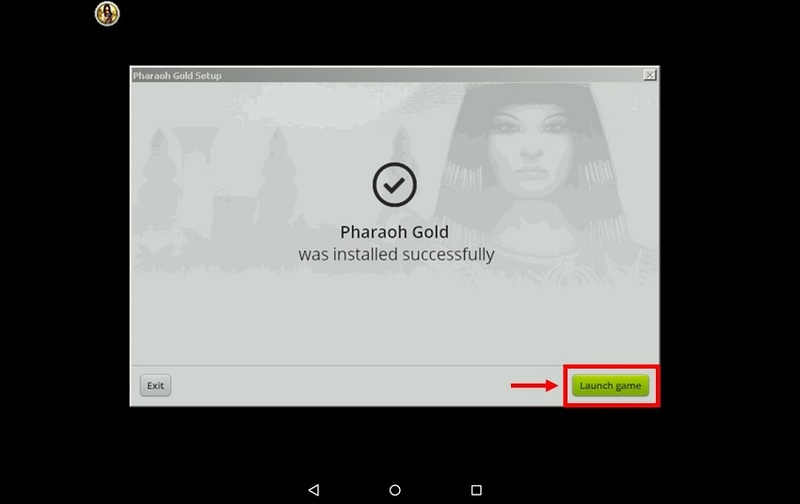 In this example, the “Pharaoh and Cleopatra” game is used. 1. Firstly, you’ll need to get the game itself. It’s good if you have a CD/DVD (either an ISO or an installer file) of the game. 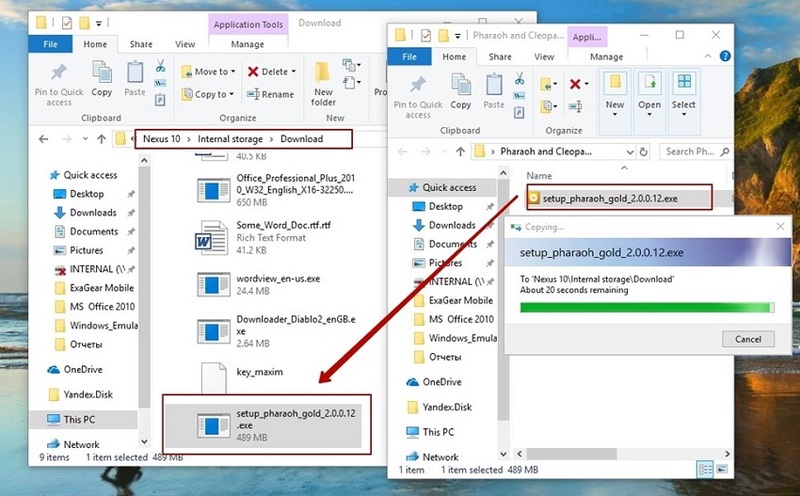 In case you don’t, make sure you use the legal way of getting an installer file. 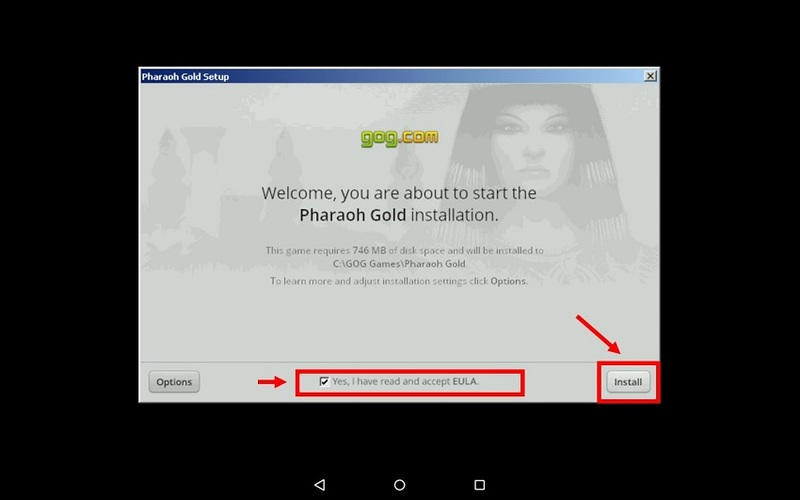 We strongly recommend you to get it only on official websites like GOG. Now, you’re all set. 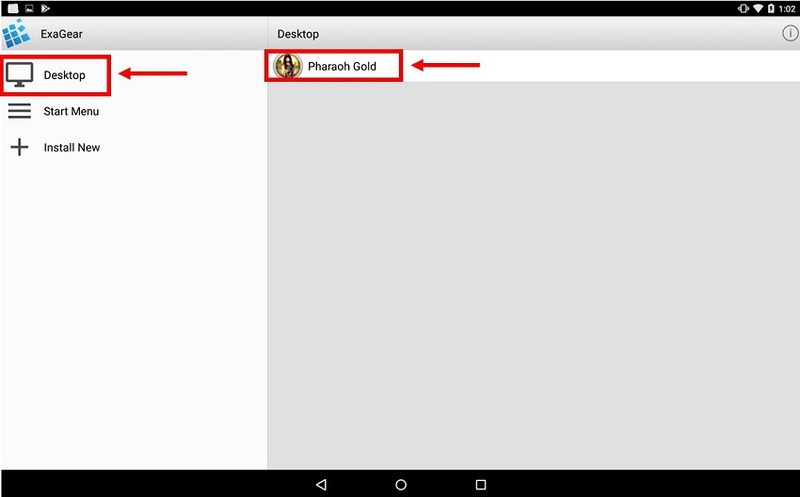 The next time you’d like to play the game on your Android device, you should start it right from the main screen of the app in the “Desktop” section. 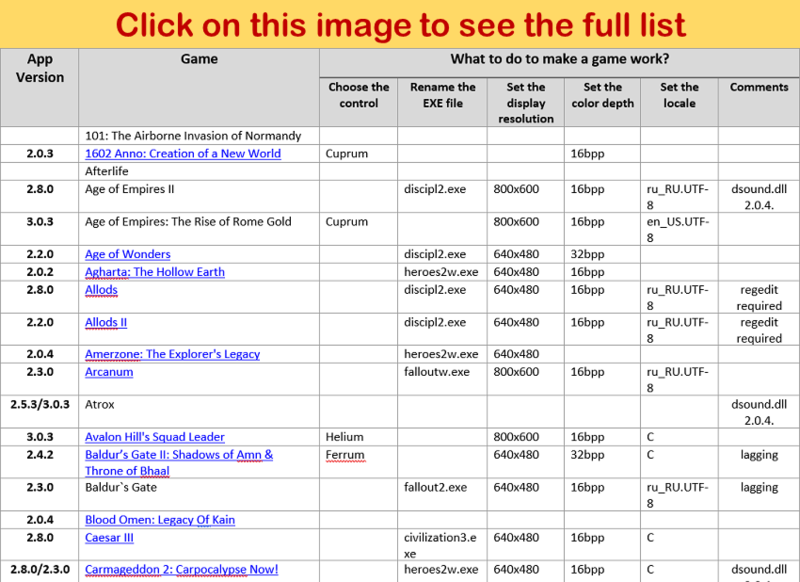 Also note, that the list of games that can be launched just like this is enormous. 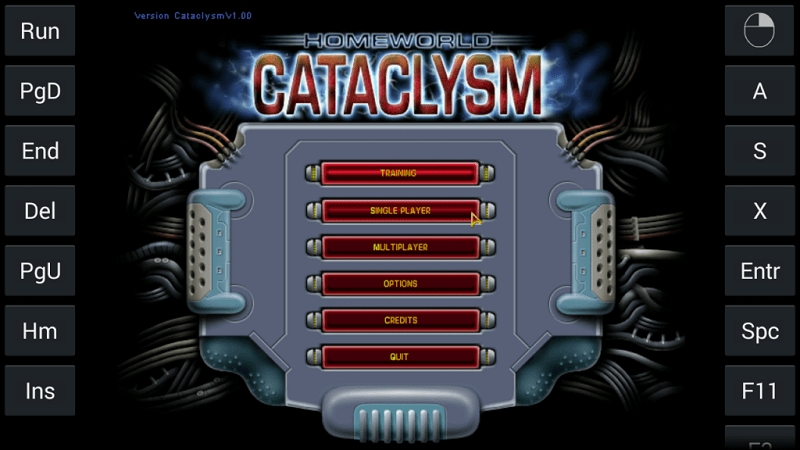 You can try your own games using this tutorial. Our team will also keep on testing the most popular ones and releasing our guides and articles on the experience, peculiarities and possible problems solving. So, if you don’t want to miss anything, simply subscribe to our newsletter and be aware of all of our latest news about ExaGear Windows Emulator gaming experience!